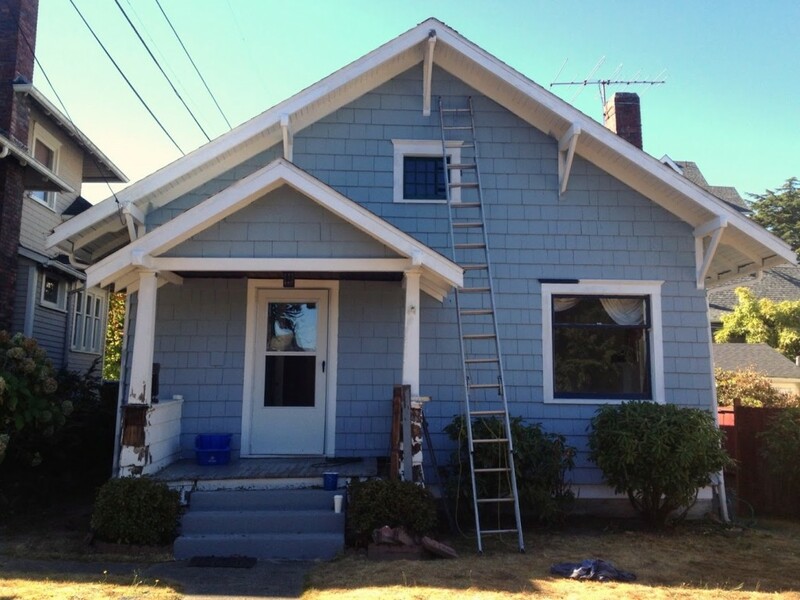 This is a photo of the new exterior paint job from two months back – the porch now looks very different. I’ve been pretty mute on the house progress lately but that doesn’t mean we haven’t been busy little bees. At this state we’ve opened every single wall and know this house backwards and forwards, inside and out – there will be no surprises in the future! We still have a long ways to go, but we have come so far! We’ll start seeing walls on our bathroom go up in the next two weeks, finish wiring and start insulating. So excited to see it come together and cannot wait to have a housewarming party (but let’s not get ahead of ourselves!). oh wow! you guys HAVE been busy! sounds like you're making a ton of progress. i love the look of your house! Looks so pretty! Wow, you've accomplished a lot. 🙂 I'm so happy for you and can't wait to see more.